Are your kids Halloween costumes trick-or-treat ready or are you still looking for costume ideas? I am just putting the finishing touches on my kids costumes and will hopefully be sharing some pictures of them soon! 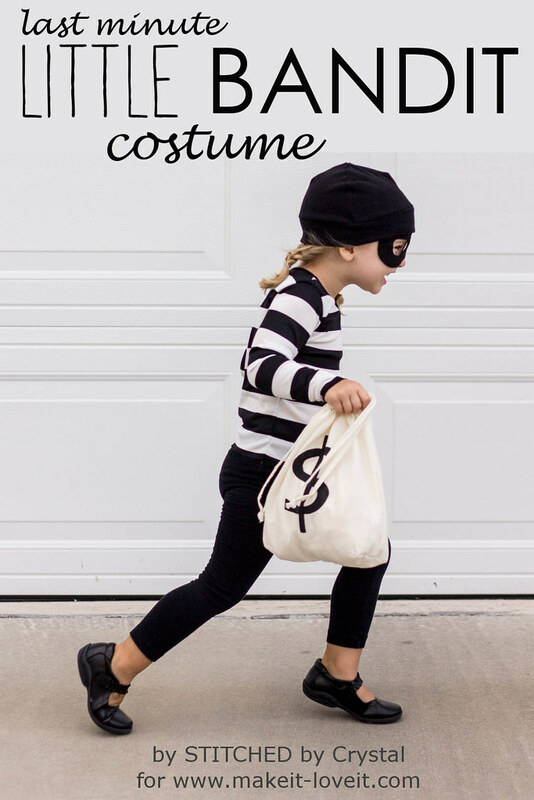 In the meantime, I have a really quick easy costume idea that you can throw together and it is something that will work for boys or girls of any age! 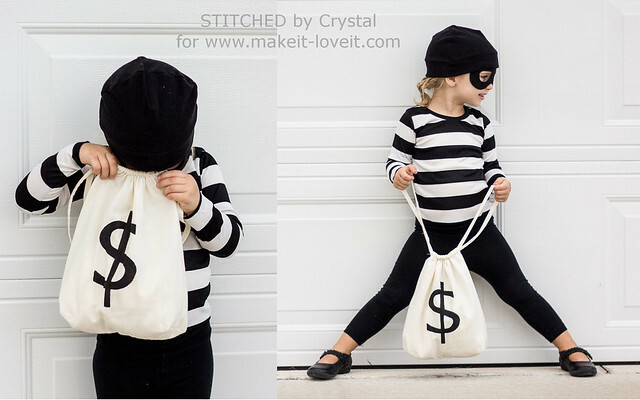 This little bandit costume is half handmade and half store bought. 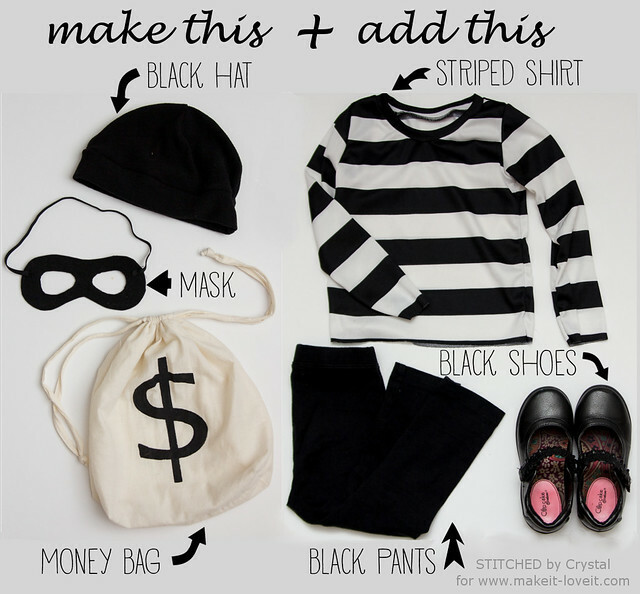 I made the hat, mask, money bag, and striped shirt (but you could buy the shirt too!) and added some black shoes and pants. And the best part is it is really quick to make and cheap too! My daughter has different plans for her Halloween costume this year, but she has been having a blast playing dress up with this costume and sneaking around the house. Wouldn't this make for a really fun game of cops and robbers?! 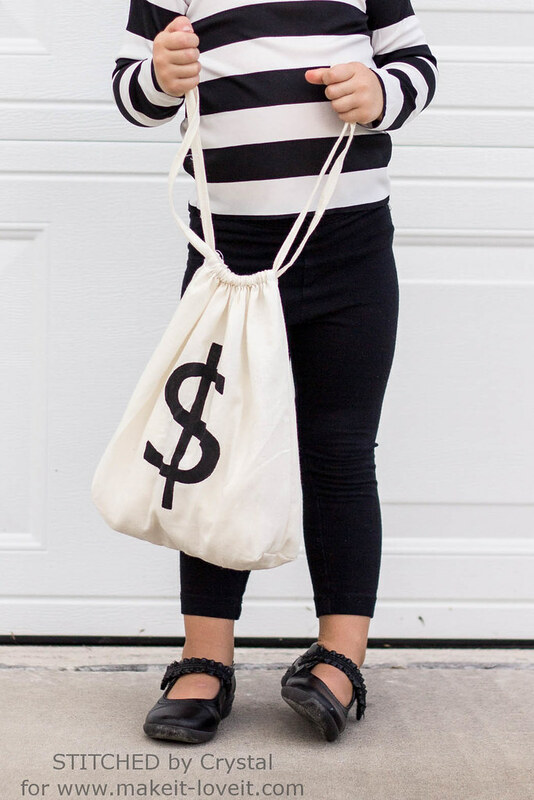 You can find all the details on this costume and how to make the hat, mask, and money bag over at Make it & Love it today! What a sneaky little thief you have there.... love this!!!! Where did you buy the shirt? Looks like a good costume that I am sure, can be good one to wear. However, this costume can not be wear in the dissertation writing services based office.